There is a new option gaining status for forex broker licences and binary options dealers. It is not actually new, but the financial services regulator in The Bahamas is getting quite a lot of attention from forex brokers and binary options dealers seeking a business-friendly jurisdiction. 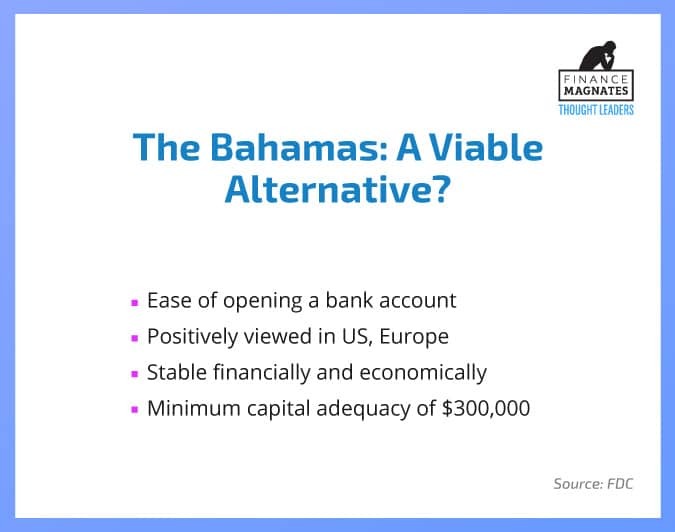 Located just 80 kilometers southeast of the United States, The Bahamas is historically a base for US and European asset managers, and hosts some of the biggest financial services firms with a thriving community managing upwards of $800 billion. The Securities Commission of The Bahamas (SCB) is certainly a regulator that should be considered if you are looking for a forex broker licence or seeking an alternative to your current jurisdiction. The Bahamas is a former British Crown colony and its stable parliamentary democracy has been built upon English law. The country is on everyone’s good list, meaning it doesn’t come with the dubious distinctions of notorious tax-haven countries. Opening a bank account is not as difficult as other jurisdictions, even those which are EU equivalent. Its government complies with global Money Laundering guidelines and Common Reporting Standards established by the OECD. US, UK and European financial institutions view Bahamas-based companies in a positive way; therefore, establishing business relationships is easier. Although it is not the least expensive jurisdiction in which to operate, it is fast, secure and professional. The Bahamas’ highly regarded regulator, the SCB, deals fairly balancing the needs of its financial services community with international standards. (Financial Services is the second-largest contributor to The Bahamas’ GDP behind tourism). Typically, successful applicants are granted a licence within four to six weeks. They have extensive experience in this area and can lead you through the entire process bringing it to conclusion. 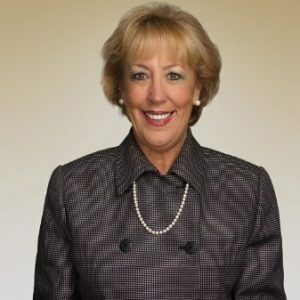 This article was written by Peg Reed, Chief Operating Officer of Forex Development Corporation. FDC is a firm that specializes in assisting firms set up brokerages, prime to prime, b2b sales division, technology development and assisting firms in finding regulatory locations. perhaps a comparison chart of different regulatory jurisdictions would be helpful. It would appear that Bahamas is more appropriate for hedge funds or private equity with $50MM+ AUD vs retail brokerage (only) startup outfit. can you send me Bahamas regulated MT4 fx broker name please? Lower Spreads Matter Most... Or Do They?